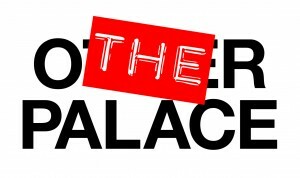 For one night only, The Other Palace hosts a unique performance of SAID SHED and LOVE IN THE PAST PARTICIPLE by John Hamilton May, and directed by David Frias-Robles. This distinctive theatrical fundraiser for deafblind charity Sense challenges audiences to experience theatre in an entirely new way, and invites theatregoers to relinquish their sense of sight and sound at the door. All profits will be donated to Sense. sees who is talking to them and hears what they are saying. A deaf person may use their vision to lip-read what others are saying. Deafblind charity Sense specialise in caring for those who live without sight and hearing. 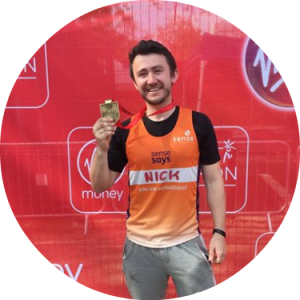 Their work encompasses all aspects of care and education, as well as undertaking research that serves to improve the lives of deafblind people and their families. 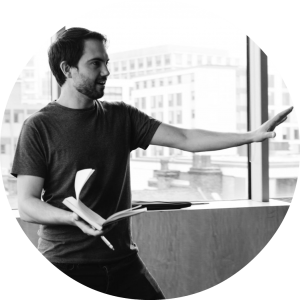 Co-Founder of Myriad & Co.
- Immersive Experience Director: The Life RX: Live with Jude Law (Done & Dusted), The Factory (Vault Festival), an immersive experience for Microsoft and the launch of Windows 10, Canvas City: The End of Prohibition. - Assistant Immersive Director: The Night That Flows: Toyota CHR (The Department), Lexus: The Life RX (The Department), Miller’s Crossing (Secret Cinema), Symphony in Blue (Johnnie Walker) and The Glasshouse Project (Bombay Sapphire). - Director: The all female production of The Wedding Room (Lion & Unicorn Theatre), Real Imaginary Me (Theatre 1880 at the Vaults) and the UK & European tour of Grimms (including the Camden Roundhouse and Oxford Playhouse). Acting credits include Inherit the Wind directed by Sir Trevor Nunn and Complicit directed by Kevin Spacey (Old Vic Theatre), Madness in Valencia (Trafalgar Studios), Transitions (Park Theatre), Descent: Now We Are Three (Southwark Playhouse), The State We’re In (Theatre 503) Mark Antony in Julius Caesar and Dromio of Syracuse in Comedy of Errors (both for Merely Theatre). Immersive performance credits include The Shawshank Redemption, Ghostbusters, Brazil and The Laura Marling Project (Secret Cinema) and the Olivier Award Nominated Alice’s Adventures Underground (Les Enfants Terribles). He also won Best Actor at the Rob Knox Film Festival for his role in Textual Relationship. Georgia is co-founder of immersive theatre and event company, Myriad & Co. 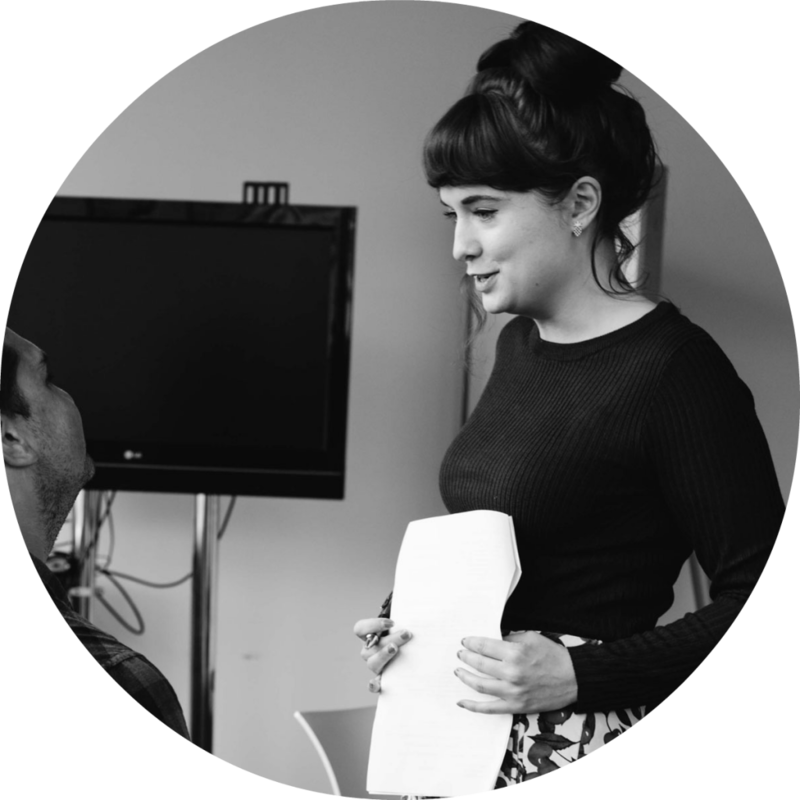 Her directing credits include a bespoke immersive experience for Microsoft UK, The Factory at the acclaimed Vault Festival and The Royal Academy Lates (A Hockney Happening and America Dreaming). Assistant Director credits include Miller’s Crossing (Secret Cinema), Symphony in Blue (Johnnie Walker), LEXUS: LIFE RX (The Department) and Edelman’s Expect the Unexpected Summer Party (The Heritage Arts Company). Acting credits include Audrey Horne in The Owls Are Not What They Seem (Lemonade & Laughing Gas), The Shawshank Redemption, Ghostbusters and Back to the Future (Secret Cinema), The Cement Garden (Vault Festival), award-winning short film Me & You, 1940s screwball comedy Over My Dead Body! and a featured role in Fantastic Beasts and Where to Find Them (Warner Bros.). John Hamilton May’s first play, The Room, won the Barclay Writing Award, judged by Sir Alan Ayckbourn. 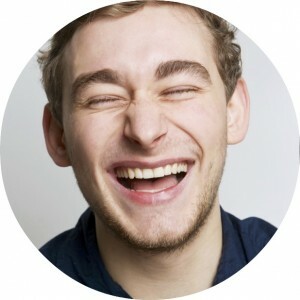 His work has been seen in venues across the U.K, including the Roundhouse, Ovalhouse, the Tricycle, West Yorkshire Playhouse, Contact Manchester, Northern Stage, the Tron and the Edinburgh Fringe Festival. Baby Blue received its North American debut in 2013 and an award-winning Spanish translation of Love in the Past Participle was produced in Madrid in 2016. John is the winner of the BBC Verb New Voices Award and has been shortlisted for BBC Opening Lines and the Perfect Pitch Award. John is a graduate of the Soho and Tricycle young writers schemes. This production marks his fifth collaboration with A Friend of a Friend Productions. A graduate of Goldsmith’s University Drama and Theatre Arts Jennifer worked front of house for both Punchdrunk’s The Drowned Man A Hollywood Fable and Punchdrunk Enrichment’s Against Captain’s Orders before turning to stage management. Since then she has worked on notable corporate immersive launches such as Myriad & Co’s launch of Microsoft 10 commissioned by Windows and The Department’s The Life RX for Lexus cars. Other credits include: Ugly Lovely for Velvet Trumpet, Junkyard Circus and Unit 7 for Aircraft Circus. For Sense image: With thanks to Pete Tweedie photography for the image taken during our 2013 production, Moments.